and true tricks of the trade. 1. Examine the paper’s general settings. 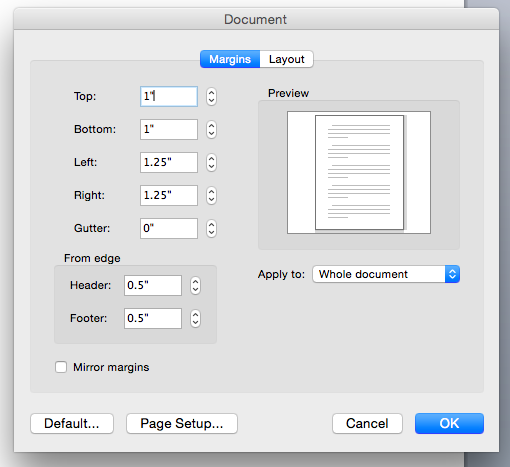 These are things such as page size, margins, spacing, font, font size, etc. Many of these items are so much easier to take care of first. Plus, if you have on Track Changes, changing some of these general settings for an entire paper will create a plethora of notations that will slow down your editing. The aforementioned Track Changes (under the Tools drop down menu in Microsoft Word) is the most useful tool imaginable to communicate how much work the editor actually does throughout the editing process. Plus, it is perfect for the client who wants to manage every change. He can literally accept or reject each of your edits. 3. Spell check. Spell check. Spell check. Why not use it before you jump into the read and knock out some of those troubling problems that Mr. Gates has helped alleviate? I commonly tell students that God created spell check on the 8th day (Bill Gates just borrowed the idea), so please use it! Spell check is commonly one of the first things and the very last thing I do when editing a paper. of note for undoing those mistakes (plus you can even redo an undo if necessary). 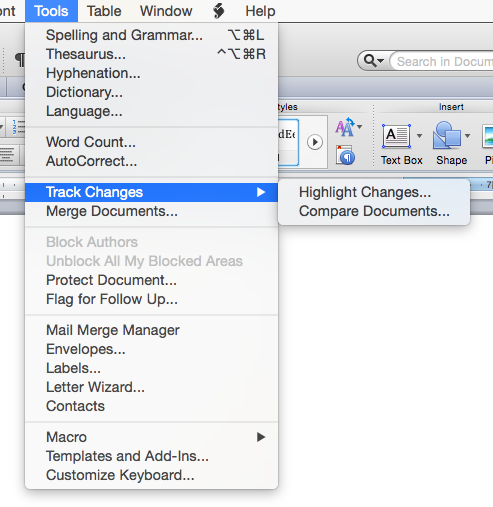 Microsoft Word keeps tally of each change; you could literally undo every edit you made if necessary. Good editors leave helpful, instructive comments for writers that help them become better writers. In turn, that helps the editor in the long run have a higher quality manuscript to begin with. Most writers appreciate any comments you give. Sometimes writers can love their writing so much that they get offended at critique. If you will encourage the author with your interactions and feedback, it will go a long way toward building a long-term relationship. 7. Put it aside for a day. Having trouble? Sometimes you just need to step away from the material. A good night’s sleep, or even a day focused on something else, will help you read the material again with fresh eyes. Inspiration is not just for writers. 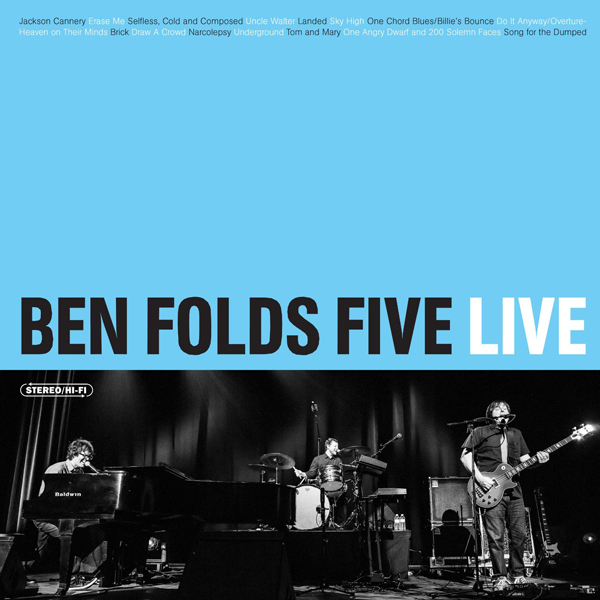 I am inspired listening to music both as I write and edit (Ben Folds Five from my college days is playing right now). But maybe it is your location, frame of mind, favorite beverage, or the time of day that suits you best. Whatever works to aid your editing experience, go with it! When you get too many track changes in your editing, you might just experience the repaginating curse. Every few edits the entire document incredulously repaginates (it must know you have a deadline). If this happens, change the view you are editing the document with in Microsoft Word, and you will save lots of time and headaches along the way. Track changes are great, but I always send a clean copy of the paper for the client as well. While some clients want to review your work, others receive your edits and are ready to print and walk out the door with it for class. In their freshman English courses, many college students must use Modern Language Association (MLA) style. Some even learn MLA well enough to apply it in later undergrad papers. However, when they take classes outside of the English department, they often find they must learn other documentation styles. The more common among these additional styles are the American Psychological Association (APA) style and Turabian or Chicago Manual of Style (CMOS or CMS; often referred to as Chicago style). For graduate students and professionals engaged in scholarly writing, the documentation styles tend to be more varied, with many disciplines and professional groups having their own specific styles, including the Council of Science Editors (CSE), the American Medical Association (AMA), the American Political Science Association (APSA), the American Sociological Association (ASA), the Association for Computing Machinery (ACM), and the Institute of Electrical and Electronics Engineers (IEEE, pronounced “I triple-E”). In addition, many other professional organizations have their specific styles, many journals have their own in-house styles, and some publishers have their own styles that apply to all of their journals or to those focused on certain fields. The various styles can be very confusing. Besides the more salient differences (whether notes or parenthetical citations are used and whether dates follow authors’ names in parenthetical citations), the styles are often differentiated in the bibliographic entries by the use of parentheses and punctuation or the placement of the date. To identify styles by the in-text citations, I generally apply the following system. Are the numbers superscript (1) or regular font (in-line) in brackets (2)? Superscript numbers are used for different purposes in different systems. a. In some documentation styles, superscript numbers indicate footnotes or endnotes that provide authorial comments only (used in MLA or APSA, for example). These notes are not used primarily to indicate references unless, as specified by MLA, a parenthetical citation would contain enough references so that its length interferes with reading the text. b. In other styles, the footnotes or endnotes indicate the sources for information used in the text and may contain authorial comments (alone or with reference information). Such notes are used in the CMOS/Turabian notes-bibliography style. Notes corresponding to superscript numbers appear at the bottom of the page on which the numbers appear (footnotes), at the end of a chapter (chapter endnotes), or after the last chapter (endnotes). The information in these notes is repeated in a bibliography that often follows the final endnotes. The bibliography is in alphabetical order. This notes-bibliography style allows the use of shortened citations or Ibid. after the initial note giving the full publication information. However, many students complain about having to duplicate the information from a bib entry for a source in the first note referring to that source. Simply copying the information will not work because the punctuation in the notes is different from that in the bib entries. c. Finally, superscript numbers can indicate entries in the final references list (often labeled References or References Cited). The entries in the final list are organized in the order in which they appear in the text and are numbered. Subsequent references to a source will be indicated by the earlier superscript number assigned to that source. Styles using this citation/sequence style include AMA and one of the CSE styles. AMA indicates page numbers in superscript parentheses immediately following the number: 5(p377). Non-superscript (in-line) numbers in brackets usually indicate a citation/sequence style (with entries in the references list organized in the order of their citation in the text). IEEE is an example of this style. However, ACM has an alternative name/sequence style in which sources in the references list are organized alphabetically by authors’ last names and numbered consecutively. In the text, a number in brackets (following punctuation marks if any are present) indicates the source being cited. Do parenthetical citations include the publication date? If parenthetical citations do not include a date, the documentation style is very likely MLA. Styles that include the date in parenthetical citations are often used in the social sciences and in some humanities. They include CMOS/Turabian author-date style, APA, ASA, APSA, ACM, and CSE name/year style. These styles can be further differentiated by the formatting of the citations. a. If an ampersand (&) is used to join multiple authors’ names instead of the word and, the style is very likely APA or Harvard style. APA is further identified by a comma following the author’s name before the date and preceding the ampersand (Smith, Jones, & Brown, 2010) while Harvard style does not have either of these commas (Smith, Jones & Brown 2010). Both Harvard style and APA have the page number preceded by a p and a period: (2010, p. 5). b. Styles that do not place a comma after the author’s name can often be differentiated by the way the date and page number are treated. APSA and CMOS/Turabian author-date styles separate the date from a page number with a comma (Name 2010, 23). CSE name/year style also separates the date from a page number with a comma and indicates the page number with a p with no punctuation following it: (Name 2010, p 23). c. ASA separates the date from the page number with a colon: (Name 2010:23). d. Some styles do not use parentheses for the in-text citations. Specifically, ACM uses brackets: [Name 2010]. If numbers, are they superscript or regular font? If superscript, do the numbers indicate notes? If so, do the notes contain source information? If so, the style is probably CMOS/Turabian. If the numbers do not indicate notes, check the references list for numbered entries. The style is probably AMA or CSE. If the numbers are not superscript, they are probably in brackets. If the numbers are consecutive early on in the paper, the style is probably a citation/sequence style, such as IEEE, and the entries in the references list are not in alphabetical order. If the numbers appear to be random, the style is probably a name/sequence style, such as ACM, and the entries in the references list are in alphabetical order. If parentheses are used, do the in-text citations include dates? If not, the style is probably MLA. If so, is an ampersand used to connect authors’ names? If so, does a comma appear before the date? If so, the style is probably APA (which has a p and a period before the page number). If not, the style is probably Harvard (which also uses a p. before the page number). If an ampersand is not used to connect authors’ names, is the date separated from the page number with a comma? If so, does a p without punctuation appear before the page number? If so, the style is probably CSE name/year style. If not, the style is probably APSA or CMOS/Turabian author-date style. If the date is separated from the page number with a colon, the style is probably ASA. Finally, if the author-and-date citation appears in brackets instead of parentheses, the style is probably ACM. If you are having trouble, hire a good editing service such as Edit911. Do a quick search and you’ll find thousands of editing services. When we started back in 1999, there were probably less than 100. So how do you sort through the clutter to find the best one? By considering this comparison checklist. Who Owns the Editing Service? Our owner is Marc D. Baldwin, PhD, whose bio, credentials, and contact information are right on the website (https://edit911.com/staff). He also runs the Customer Service department, often answering emails and phone calls himself. The buck stops with him. Few other editing services are up front about their ownership and fewer still have the owner himself readily available for questions and clarifications. Dr. Baldwin puts his professional reputation and career as a college professor on the line with every single editing job his company does. Who Does the Editing? Again, most other editing services don’t make it very clear who is editing your work, much less including staff names and bios (https://edit911.com/staff). All of Edit911’s editors are PhDs and published scholars in a wide range of fields and disciplines. Many on the Staff have been with Edit911 for 7-10 years. How Dependable and Responsive is Their Customer Service? Dr. Baldwin has one or two assistants, depending on the day, but for the most part he—the owner—answers emails and phone calls. He likes it that way because it ensures that his clients receive the very best treatment and service. No client of Edit911 ever gets delayed or ignored. All questions, concerns, or issues are immediately addressed to our clients’ complete satisfaction. Do They Have Accountability as Members of TrustE & the Better Business Bureau of America (BBB)? These two organizations warrant and certify that a company is reliable and trustworthy. Without their seals on the site—active and responsive when you click them—the editing service has no accountability. That is, to whom does an unhappy customer complain and report that complaint? Edit911 has perfect A+ rating with both companies, never having had one single complaint filed against it in 13 years of business. Few other editing services are members of these organizations, much less having a flawless record of zero customer complaints. Does the Editing Service Have a Track Record of Successful Editing? Having edited over 22,000 documents since 1999, Edit911 has hundreds of stellar Testimonials and many delighted Published Clients. Few other editing services have anywhere near the amount of enthusiastic clients singing their praises. Do the Editors Themselves Actually Write and Publish Their Work? When you think about it, isn’t it absurd to hire an editor who doesn’t actually write anything? All of our editors are published authors of their scholarly articles, books, and novels. They also write blogs (https://edit911.com/blog), books, white papers, and articles for Edit911. Few other editing services provide any information at all about their editors, much less whether or not their editors are published authors. Do the Editors Offer Any Mentoring and Advice as They Edit? Since almost all of Edit911’s editors are college professors, they enjoy teaching and helping their clients in any way they can. So, they explain their editing and offer constructive suggestions. These two samples of our editing reports demonstrate our editors’ level of engagement with their clients. Is Their Editing Comprehensive? Most editing services have several different rates, depending on what you pay for. If you just pay for proofreading, they ignore all other issues, regardless of how serious they may be, because you didn’t pay for them to correct anything but basic “errors.” That’s like asking a medical doctor to just check your pulse. She may notice that your eyes are blurry and you have a fever, but she doesn’t treat those symptoms because you didn’t pay for them. We at Edit911 believe it is unethical to do anything other than everything we can possibly do for you. Therefore, we have one low rate for our full-service editing (See Services, FAQs and Order Service). In Conclusion? The difference between Edit911 and other editing services could not be greater. Join our newsletter to receive 8 free eBooks, and a bi-monthly roundup of all fresh Edit911 news, blogs, coupons and more. Unsubscribe at any time. Your privacy is 100% protected and we never share your info with anyone else. Please visit the contact page for all inquires. We can be reached 24/7 by the form on the contact page, or call us at 407-765-8755 from 9am – 5pm EST.